Highlights of Portsmouth's trip to Leyton Orient in the Sky Bet League 2 fixture. Five goals and two red cards was the summary of an enthralling Sky Bet League 2 clash at Brisbane Road where Leyton Orient beat Portsmouth 3-2. The O's scored through a Jay Simpson penalty and a brace for Ollie Palmer while Pompey's Gareth Evans netted twice. 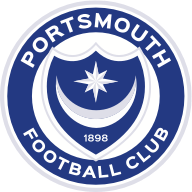 The visitors went ahead after four minutes when Evans ran onto a cross from Enda Stevens to score from close range but Pompey were reduced to 10 men in the 22nd minute when Adam Webster pulled down Jobi McAnuff in the box and was dismissed. Simpson netted the penalty and the home side went in front in added time when Palmer nodded home at the far post. 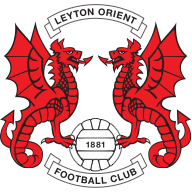 Orient found themselves down to 10 men six minutes after the interval when skipper Mathieu Baudry won a free-kick but lashed out at Kyle Bennett and saw red. However, from the resulting set-piece, Palmer rose to nod home and extend the lead. Evans then gave the visitors a lifeline when he ran unchallenged through the Orient defence to slide the ball past goalkeeper Alex Cisak after 67 minutes but the O's shot-stopper was the hero when he produced a series of outstanding saves to protect his side's lead.